We know how easy it is to let the final command of Jesus get pushed to the back burner in our busy lives, but we are intentional about seeking opportunities to Give, Go and Pray. 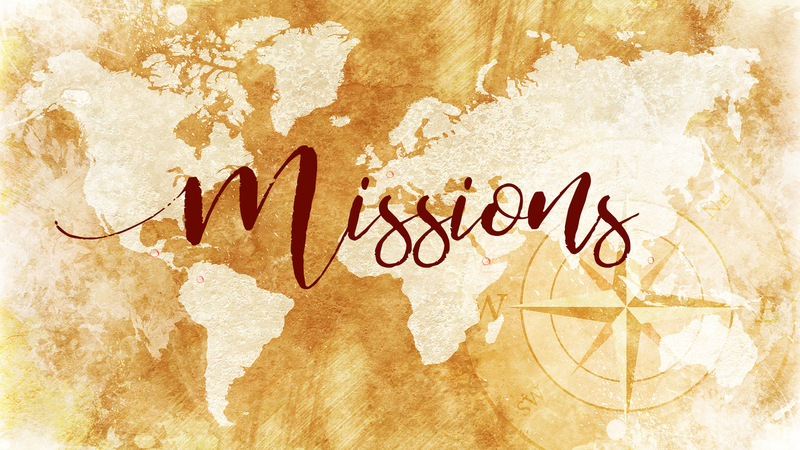 We pray for the move of God to continue across the globe, we look for opportunities for our tribe to touch the nations and we strategically partner with missions organizations and missionaries that are making disciples around the world. Halle is the longest standing missionary contact that we have. She has been speaking life into the student population in Rennes, France for years with her CRU base, now called Agape! In a modern, westernized culture that is largely atheistic or agnostic, she and her team continue to share the light of Christ with university students on a daily basis. Jared and Kayla serve with FIA Ministries in the heart of Guatemala. They have a multi-focused approach to ministry that serves the community in a holistic manner, including educational efforts, medical services, evangelism and building projects. Married in 2016, Jared and Kayla have committed their lives to the work of God in Guatemala, where Kayla grew up as a missionary. The simple mission of OneHope is “God’s Word. Every Child.” For 30 years they have been leading the way in developing ways of reaching children around the world with the life-giving good news of Jesus. They partner with Life.Church in America to bring our children the curriculum and materials that make up the Bible App for Kids we use in our Holywood and Arkland Ministries, but the global impact they have had is astounding. Currently active in 112 countries and 140 different languages, they have reached over a billion children with God’s word and each minute 213 more hear about Jesus because of this ministry. The Agora Group is the overarching organization behind Agora College, where many of our student leaders hail from. On a wider level than just the College, Agora is actively training indigenous leaders to share the gospel with unreached tribes in Colombia and tribal areas in Southeast Asia. Many in our community have been blessed by the ministry of Randy and Becky Young as they have shared great stories with us over the years and poured into many of our students. In a part of the world that is famous for persecution and martyrdom, we will not be revealing the location or name of this precious family, but they have chosen to sow their lives into spreading the gospel and hope among people that live with adramatically different worldview than our own. If you would like more information, please speak directly to one of our pastors. Above all else, please continue to pray for this family, their team, and that the kingdom would be taken forward by the work of their hands. She could have headed toward a comfortable retirement stateside, but this incredible woman of God has given the last two decades of her life to build the kingdom in a different culture, in a part of the world we call Eurasia. Again, for the safety of our missionary and their family, we will not reveal the location or the name, but please continue to cover this precious lady in prayer. A precious family that is leading the way and pioneering new methods of spreading the gospel in a closed country, our friends will remain nameless and their location unspecified for protection. Please continue to cover their efforts in prayer and pray for an abundant harvest and laborers to join them. We are thrilled to partner with all of our missionaries and love to hear their stories. If you would like to know more of how you can get involved, or stay abreast of opportunities to go on missions trips, get in touch with Pastor Ryan at ryan@wordofgracechurch.com.